The MU is the UK trade union for its 30,000 musician members and has, since its inception in 1893, been working on behalf of featured or contracted recording artists, orchestral players and as session musicians. 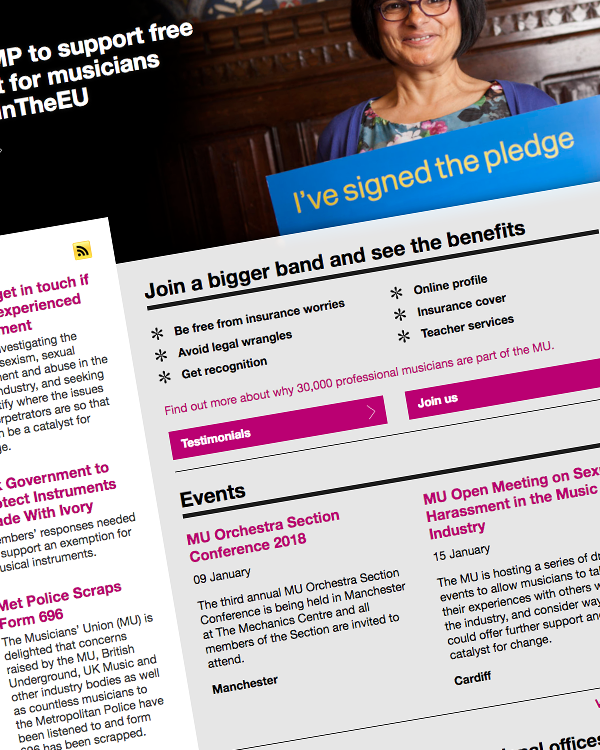 The MU negotiates fees and conditions with a variety of sectors both audio and audio-visual, and campaigns to improve copyright and performers’ rights, for better conditions, support for the live sector, music in education for the benefit of all musicians. 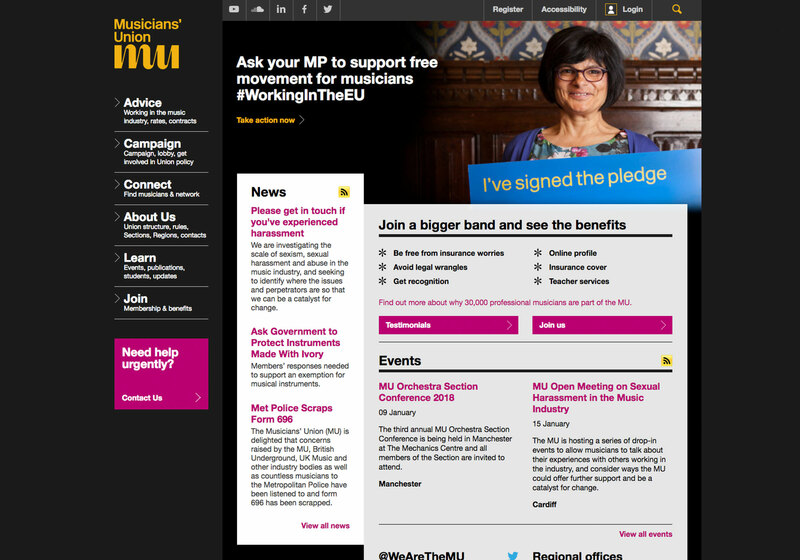 The MU is a member of the international body, FIM, the British Copyright Council and the government lobbying body UK Music. The union works alongside PPL (Phonographic Performance Ltd) which is the record label owned UK CMO that administers royalties arising from the broadcast and public performance of commercial sound recordings.